When Innovation First International (IFI) introduced the Victor 883 in 1999, it was the first motor speed controller tailored specifically for the demanding competitive robotics market. As the Victor was continuously refined to match the needs of increasingly advanced robots, VEX Robotics (a subsidiary of IFI) placed a focus on efficiency and cost improvements while holding true to the fundamental designs that had proven their worth year after year in the field. However, as technology advanced, so did the market for FIRST® Robotics Competition (FRC®) accessories. Cross the Road Electronics (CTRE) broke onto the scene in 2007 with the USB Chicklet, a true game-changer that allowed FRC drive teams to use USB controllers for the first time. CTRE quickly became known as a leading explorer into the depths of the FRC control system; the introduction of their 2CAN Ethernet-to-CAN gateway device in 2009 pioneered the CAN communications frontier and made advanced control accessible to more teams than ever. 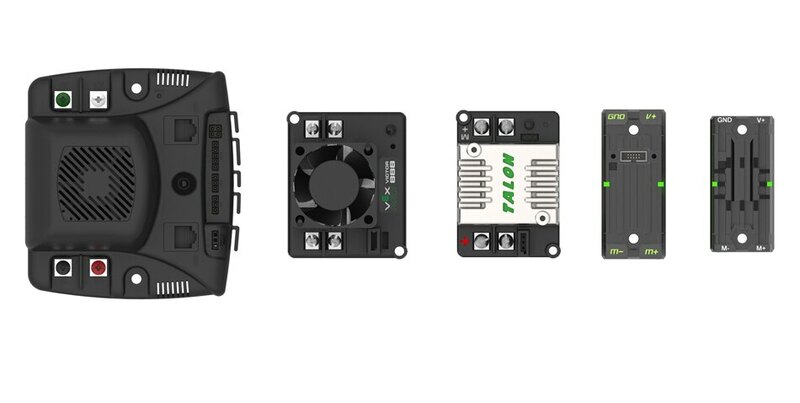 In 2013, CTRE entered the PWM speed controller market with the Talon, taking the traditional objectives of the Victor series and adding some modern improvements like passive cooling, a smaller footprint, and an increased PWM switching frequency. 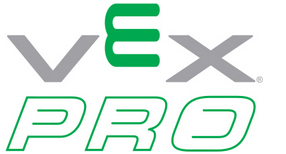 VEX Robotics has always admired CTRE’s creativity and passion for advancing the capabilities of the FRC community. CTRE continues to be inspired by the precedents set by the commitment to quality and innovation found in IFI’s products; from the beginning, CTRE strived to emulate and improve upon the processes that led to many of these products that helped shape the face of the FIRST® Robotics Competition. These are the shared values that our companies were both built upon and the values that keep us going every day. That’s why, for the 2015 season, VEX Robotics and Cross the Road Electronics are uniting our design and manufacturing expertise to bring you two new motor speed controllers that combine the best of both companies. We are proud to present our co-developed product offerings: the Victor SP and Talon SRX. The Victor SP takes the familiar PWM control of the Victor series, combines it with many of CTRE’s innovative Talon improvements, and compresses it all into a package that is smaller and lighter than anything we’ve previously brought to market. Ever since the Jaguar showed what could be done with smarter motor controllers, the FRC community has clamored for a "smart Talon". We're excited to deliver on that request for the 2015 season with the Talon SRX, which brings the much-anticipated integration of CAN, additional communication protocols, and PID control into a lightweight Talon platform. Full aluminum housings with passive cooling fins on both controllers make fans optional; their completely sealed enclosures remove any possibility of debris ending up where it shouldn’t. The Victor SP and Talon SRX have been completely overhauled internally and redesigned from the ground up resulting in better technology than either company has ever individually produced. Best of all, these improvements do not come at a premium to teams; the Victor SP will retail for $59.99 and the Talon SRX for $79.99. These devices are not available yet, as they’re still being evaluated, but barring any issues, we expect to make them available to teams before Kickoff 2015. Neither company will continue production of the Victor 888, Talon SR, or Jaguar, but these devices will continue to be available while remaining inventory lasts. This technology could not have been developed alone. We believe that working together in the midst of competition is essential to the spirit of FIRST®, and are thrilled to announce this collaboration. We hope that the unification of our respective talents will benefit the community that our two companies were built upon and that this partnership will continue to thrive for years to come. We sincerely hope you find the Victor SP and Talon SRX as exciting as we do, and look forward to early responses from beta testers. Any questions about these two new products or about the CTRE-VEX Robotics partnership can be directed to prosupport@vex.com or support@crosstheroadelectronics.com. To all teams: good luck and we’ll see you on the playing field!